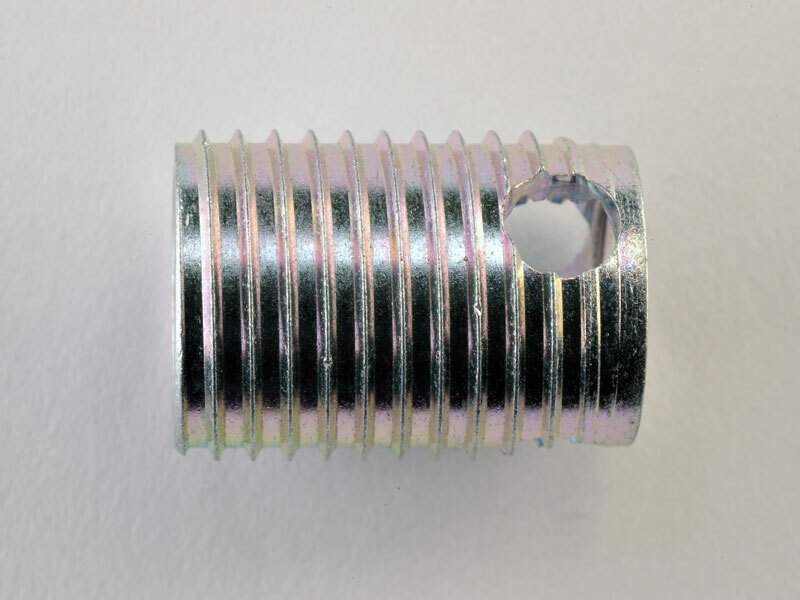 The SCRS range is a Self Tapping range of inserts with internal and external threads and 3 holes to aid installation. Its designed to be installed into drilled or moulded holes generally for Thermosetting Plastics with up to 50% Glass Filled like Grivory. They are also an Excellent Insert to obtain a wear free, vibration resistant insert for Aluminium and Aluminium and Magnesium alloys. Can also be used in Thermo Plastics. HIGH PULL OUT RESISTANCE, DEVELOPED FOR MATERIALS WITH DIFFICULT CUTTING PROPERTIES, THE INSERT HAS A THICK WALL AND THE CUTTING FORCE IS DISTRIBUTED OVER THREE CUTTING EDGES. SHORTER VERSION AVAILABLE IN ALL SIZES WHERE MINIMAL MATERIAL THICKNESSES ARE INVOLVED. 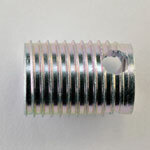 GENERALLY SOLD IN HARDENED STEEL WITH A RoHS COMPLIANT ZINC AND CLEAR PASSIVATION.